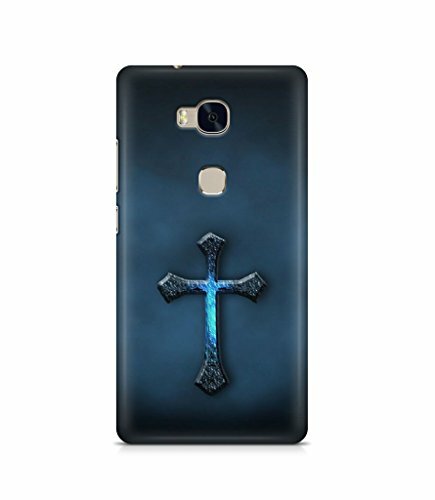 iKraft Designer Back Case Cover for Huawei Honor 5x@399 Rs [Mrp:-399] - Onlinedeals.discount - A leading product discovery website. Find the true prices of products, read reviews and buy top brand products at reasonable prices. CASE will protect your Phone from Dust, Scratches and stains. It will give your phone an outstanding look. Designed Especially for your Phone, it fits perfectly, the special material of this phone will give you a perfect grip. 100% NEW AND HIGH QUALITY Guaranteed, Artist Created & Unique Design Stylish, Ultra Slim, Sleek and Light Weight Design Snap on Case Protect your phone from scratches, chips, dirt, fingerprints and other element damages. ERGONOMICALLY DESIGNED case tightly hold your device, allows easy access to controls buttons and port like user interface, camera lens, headphone jack, speakerphone and microphone. CREATED WITH THE LATEST best in class 3D Sublimation printing technology that is permanent in nature and prints on all edges and sides of the back cover. Smartphone case from iKraft is the perfect gift for friends and family for any special occasion. So, whether you are looking for a way to spoil yourself or simply want to treat a loved one, a protective case today. iKraft Design Printed back cases are designed and created by OffersKraft for the brand iKraft. Special quality inputs and inks are used to provide a long lasting matte classy look for your smartphone case. It protects the mobile from scratches and dust and also gives a smart and cool look to the phone. The cases are designed attractively, they are eye catching ,attention seekers, people will want to look at the accessory twice. It provides perfect grip and access to all buttons and ports. With funny quotes and cool designs, we are creating a niche market at affordable prices.